Everyone needs an elegant pair of Oxfords. There are few designs which convey timeless style and elegance like these versatile and iconic shoes. This simple design has seen a great deal of innovation, transforming this classic shoe into a centerpiece of modern style. Here we’ll be showing you two of the best women’s Oxford shoes available and then a pair of men’s Oxfords which are among the easiest to pair with the widest range of outfits. If you’re style-conscious, take a look at these reviews of the best Oxford shoes available. 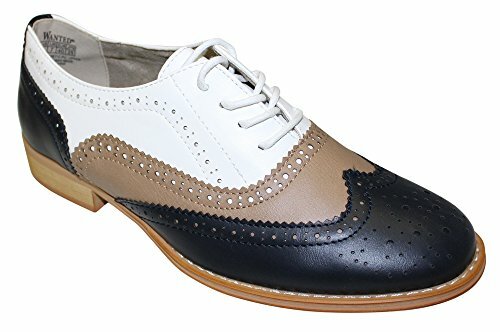 Available in three colors, the Meeshine Women’s Perforated Lace-up Wingtip Flat Oxfords are an affordable option for those who need a comfortable pair of women’s dress shoes for school, college or the office. Suited perfectly to semi-formal and formal attire, these dress shoes carry just the right amount of brogueing to give them an elegant appeal. 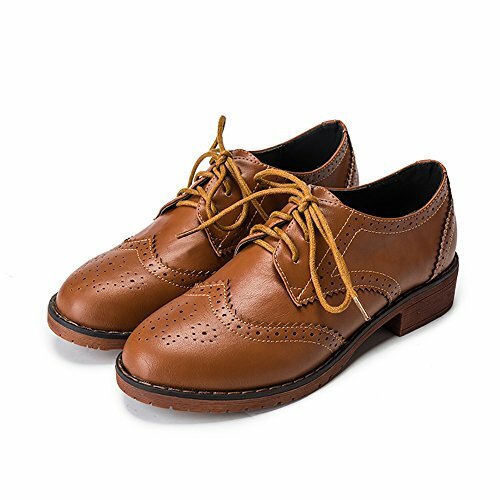 The Meeshine Women’s Perforated Lace-up Wingtip Flat Oxfords offer a comfortable fit with ample area around the toe. A padded insole gives ergonomic cushioning which ensures that these Oxfords stay comfortable even after being worn all day. You should keep in mind that the sizes run roughly half a size too small. If you order half a size larger than normal, you will be happy to know that they are lightweight and comfortable regardless of whether you wear a thick or thin sock. Crafted from PU leather, they are slip-resistant, highly breathable and extremely light. With a heel measuring 1.18-inches, they are both stylish and functional. Meeshine has put lots of care into their craft, with these shoes carrying a great, long-lasting look which is highly resistant to scuffing and cracking. As a good midway between full-formal and office attire, the Meeshine Women’s Oxfords are a great choice. The wingtip design and broad cut makes them a great fit for people with any shape of foot. You will find that their value and durability match that of Oxfords near twice their price. You can’t go wrong with these minimalistic yet classy women’s Oxfords. Wanted Shoes have added all the trimmings to a traditional Balmoral Oxford, delivering a broad range of comfortable shoes in a startling array of colors. Inspired by this timeless menswear piece, the Wanted Shoes Women’s Babe Oxford Shoes have pink trim, wing-tip lines and delicate brogueing. Here we’ll be taking a closer look at what makes them an excellent option for any style-conscious professional woman. Despite being made from synthetic materials, these women’s Oxfords resemble leather very closely and they are extremely tough. The brogueing is attractive and of a high quality, whilst the bonding is sure to last. Scuff- and slip-resistant, you cannot fault these shoes on durability. They will eventually need replacement but given the price and vast range to choose from, this is not necessarily a bad thing. With quality comparable to that of Men’s Oxfords from Cole Haan you cannot fault the craftsmanship nor the cost. Be sure to order one size larger than normal if you have anything other than a narrow foot. Those with sleek feet will find that ordering ½ size up is best. They are far more stylish than rival brands, with a distinctly feminine touch. Overall, the Wanted Shoes Women’s Babe Oxfords are a great choice for anyone with narrow feet while fitting medium-width feet relatively well too. 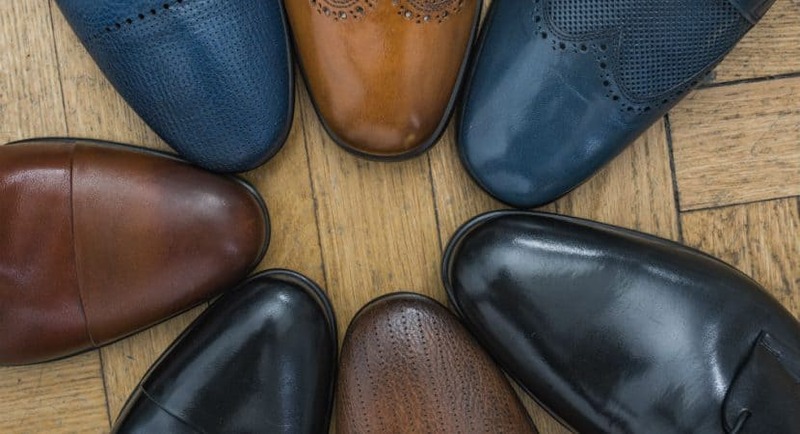 If you have broad feet, then you would do better with a pair of Oxfords from Meeshine, but for a stunning array of fashion possibilities at a great price, you can’t go wrong with these Oxfords from Wanted Shoes. 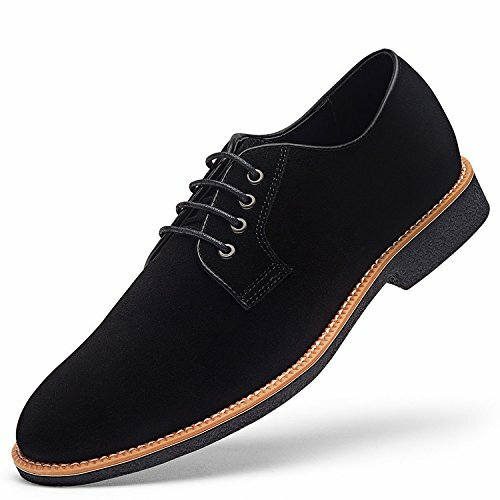 If you are looking for one of the most comfortable pairs of men’s Oxfords available to the discerning modern man, then the GM Golaiman Men’s Suede Leather Oxford Shoes are perfect for you. Displaying superior looks, premier quality craftsmanship and a variety of colors to choose from, these shoes certainly put a fantastic twist on the timeless style we have come to rely on. Suave enough for the most upmarket business or cocktail events while simple and comfy enough to wear around the house, you won’t be disappointed by these great Oxfords. Let’s take a closer look. With versatility which cannot be beaten, the GM Golaiman Men’s Suede Leather Oxford Shoes are a stylish option for use anywhere, except for in the rain. Their timeless style and careful attention to detail give you a pair of Oxfords unlike any other. The lacing grommets are high quality, backed up by outstanding stitching, and the shoes use a black leather binding to ensure they last. The casual design of the suede leather in combination with the elegance of an Oxford ensures that these shoes are the perfect choice for a wide range of style possibilities. They match jeans just as well as they do dress pants. Thanks to the four colors available, you will soon find yourself procuring another pair to match a whole new range of clothing once you have felt just how comfortable they are. You will struggle to find a pair of men’s Oxfords as comfortable to wear as these stunning shoes. The lightweight composition in combination with genuine leather construction and fine stitching guarantee a good fit which is soft & comfy even after a full day on your feet. To get the best fit, order ½ size smaller than you typically do, as their sizes run slightly large. Between these options, you are sure to find a style which will be the perfect match for your personal preference. All three pairs of shoes will give you long-lasting quality while remaining affordable enough for you to consider multiple pairs in varying styles and colors. Once you see just how well Oxfords accentuate your look, you’ll soon be shopping for more.